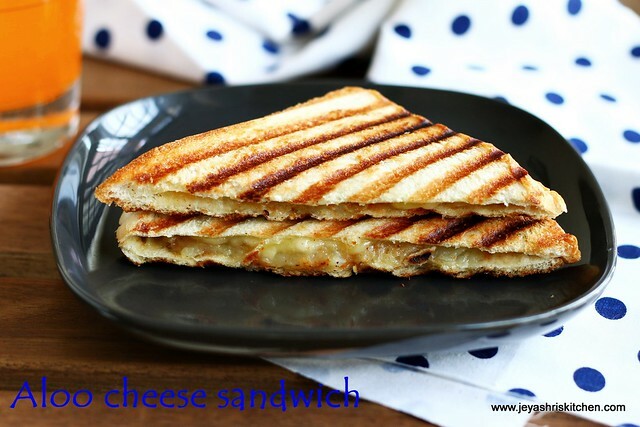 Potato Cheese sandwich is a easy sandwich recipe and always a super hit among kids too. This post lying in my draft for a long time. As my sister is here for a vacation, we are having super fun here enjoying movies, non stop chatting, eating, roaming around. So i am not in a mood to click anything new. Will be back with some interesting posts in 2 days. 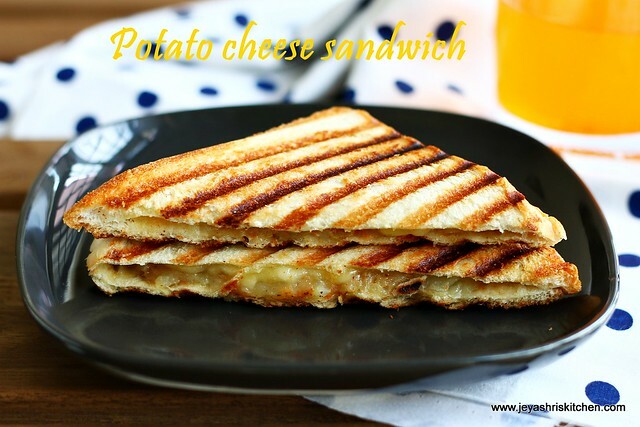 This potato cheese sandwich is a perfect snack for kids, when they come back from school or for kids breakfast. Pressure cook the potato and mash it nicely with the back of the fork. Add cumin seeds, jeera, salt and pav bhaji masala. Mix this well. Spread butter one side of the bread . Keep the buttered slice on the sandwich maker facing the buttered side down. Spread some potato mixture on the top the bread. Sprinkle grated cheese on this . Place one more buttered slice of the bread on top of this. Let the buttered slice be on the top. This will make the top portion grill perfectly. Toast this in a sandwich maker. I used pizza cheese. 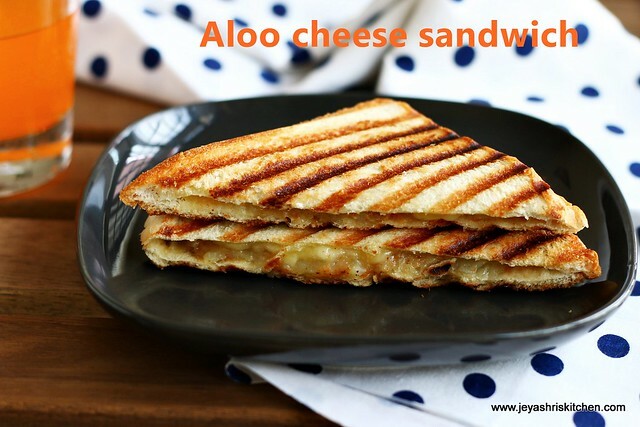 You can use cheese slice too. Instead of red chili powder and masala , you can add oregano and red chili flakes too. It looks an amazing snack for cheese lovers like me . Thanks for sharing the recipe . I often order online on Foodpanda and I am satisfied with the quality of food the serve . I have used Foodpanda offers recently and saved on the purchase , you can do the same the next time you order food online .